Use the form below to contact Carolyne’s youngest daughter, Terry. 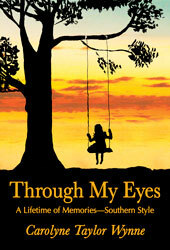 Terry is available for speaking engagements about Through My Eyes and for reading excerpts from it. Also, if you’ve read the book, send a message about what you think of it. We welcome and encourage your comments and look forward to hearing from you! If you are a member of the press, a bookseller, a professor, or a professional organization, please contact us here.